Green Fairy Quilts: MQX Quilt Festival, here I come! MQX Quilt Festival, here I come! MQX is coming up and I wanted to make you aware of the classes I will be teaching. I will be there April 11-14, 2018 and I am looking forward to it! You can see a list of all my classes here. Please read on as I will go over each class, so that you can decide which class/classes are best for you! I hope to get you a little excited about them as well! Bohemian Quilting. I will be offering this class as a hands-on experience as well as a lecture/demo class. 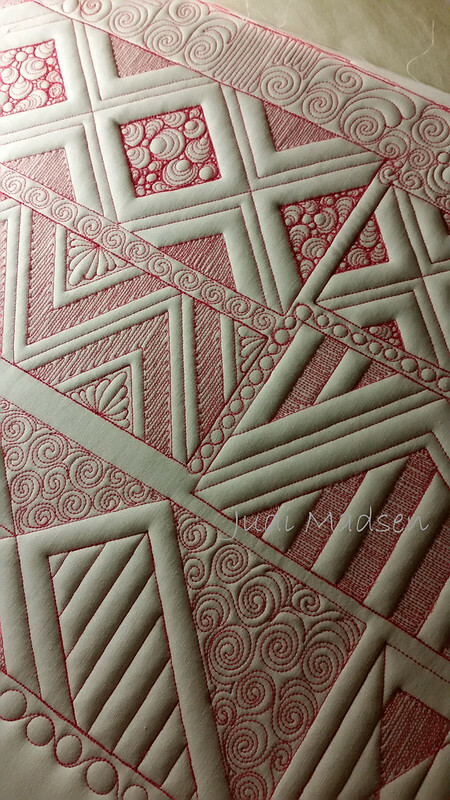 We go over the quilting design strategy that I used when I made this beautiful quilt. 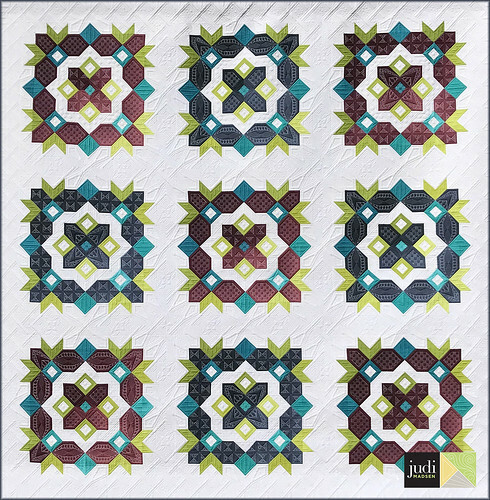 While it does talk specifically about this design, you will leave with several new designs that can be implemented in your other quilt designs. It is a must! One of my favorite classes to teach is Wide Open Borders. This class goes over these amazing designs that I have used on quilts with large borders and plain fabric. This class will give you the confidence to try complex design, but you will find out how easy it will be for you. If you are wanting to step up your quilting game, this class is definitely for you. Info here. 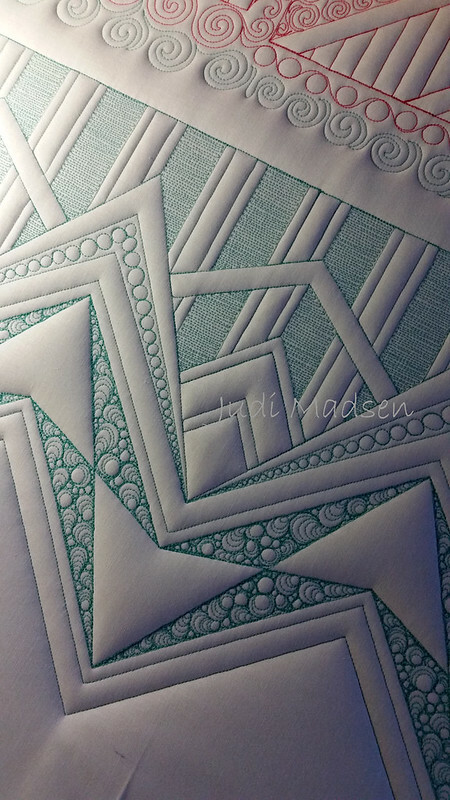 If you are stuck on design and want to bring a quilt in for my first reaction design suggestion, then you will want to take my lecture class, Design Discussion. I will give your quilt full attention for a few minutes and you will leave knowing what to do with your quilt! You will also be able to take ideas down from the other suggestions I give to the other students. It will be a fabulous class! Smashing Sashings is a wonderful class if you are looking to get fabulous new ideas for those quilts with large sashings. These designs also double as quilt borders, so it's a 2 for 1 special! The designs are amazing and I will got through each one during my lecture/demo class. You don't want to miss this class! Secondary Designs with Judi Madsen is a new class! I haven't even given a sneak peek of this one. 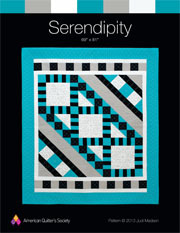 I want you to be pleasantly surprised with the new designs I have come up with and to also enjoy the discussion we have about Secondary Designs, which is my favorite way to quilt! You definitely don't want to be left out of this class! Be the first to see my Gypsy Quilt in person at the show! I will have my quilt with me and those of you in my classes will get a glimpse at this beauty in real life! Another one of my classes is Modern Meets Traditional class, it is a wonderful class with fabulous design ideas, including my nesting diamond and square designs. You don't want to miss this one either! 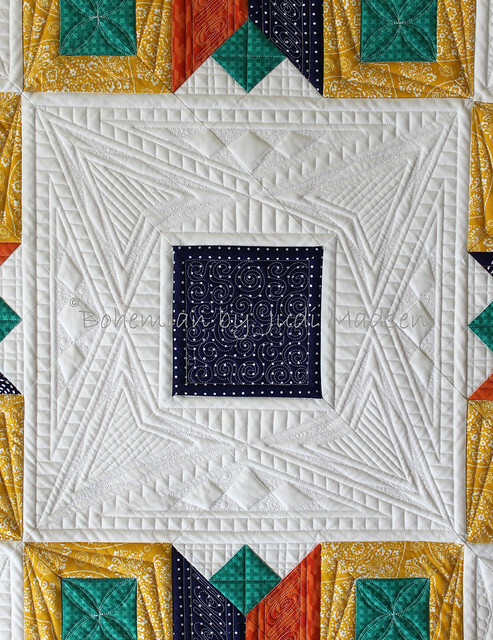 Quilting with Shapes is another fabulous class with lots of ideas for those quilts that you have no idea how to quilt. I will go over fun design ideas for triangles, squares and hexagons. This is a super fun class! I hope that helps you narrow down what classes you would like to take with me. I look forward to seeing you in April! It will be here sooner than we know it! Hi, Judi. HAPPY EASTER!! I will not be at MQX this month but I really, REALLY hope I get to take a class with you someday because you are my absolute favorite longarm quilter AND despite your insane level of talent and creativity, you still come across as a very humble, down to earth person.